I get a surge of excitement when I spot bright-colored signs at street intersections. Yard sales are the one place left to get amazing deals on used goods. This is especially true in the Seattle area as flea markets are few and far between, and thrift stores prices have caught up with their level of trendiness. 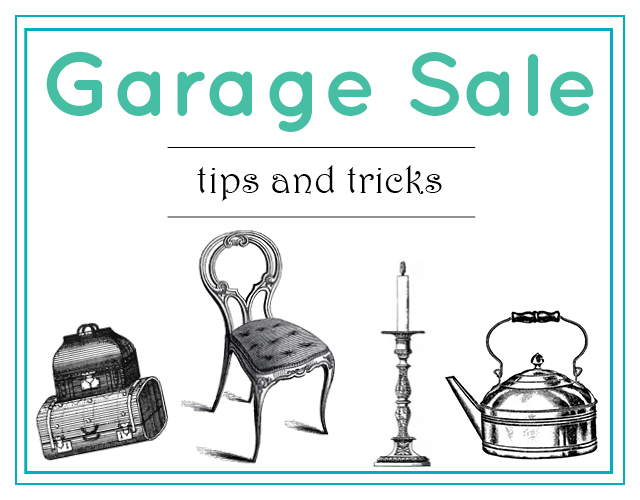 Here are just a few of my tips and tricks to getting ready for the garage sale season so you can score big! I start the yard sale season in May when the first few sunny days hit and people start spring-cleaning. College towns are a treasure trove the weekend after finals week. Students are moving home for the summer, or relocating for work and don’t want to deal with large pieces and clutter. These sales are perfect for finding bohemian home decor, trendy clothing and nicer bicycles. Look for annual community garage sales, and mark them on your calendar. Many communities pull together to do joint advertising and encourage community members to host garage sales on the same day. This means there will be house after house of sales, block after block. We have three annual garage sales we hit every year. We mark off the whole day for them and save up some cash. This makes for efficient garage sailing. These sales can attract treasure hunters from across the state, so come early (but don’t be an annoying early-bird). …but feel free to stray off course. Before casual garage sailing (note: not day-long community sales) I like to start with a route or location in mind. Yard sale treasure map is a cool tool that combines garage sale listings from Craigslist and creates a treasure map route. I usually pick a cluster in a nice neighborhood and go from there. But the older generations aren’t in-the-know on that Craigslist thing, so feel free to veer off course when a new sign appears. I find higher quality items in neighborhoods with higher real-estate prices. Be strategic. If you’re looking for kid stuff, try suburban areas. If you’re looking for nice antiques, try the established neighborhoods (which are often in a higher real estate bracket). If you’re looking for art or quirky accessories, try the upcoming neighborhoods that attract the 20-somethings. Garage sales are the one place I feel comfortable haggling. Think of the posted price as a suggestion and keep in mind what you’re willing to spend. The afternoons are the best time to strike a bargain as sellers want to close up and be done for the day. In the mornings, I tend to be a little more conservative. I try not to offer less than 50% of the asking price. If you’re new to this, start by offering to pay 80% of the price. If you think the posted price is already a screaming deal (like 10 cents for a book), pay it. If it’s already rock bottom, don’t be rude, you’re both winning here. If you’ve struck yard sale gold and are buying multiple items try grouping together for a lower price. Remember, it’s always in your favor to get the seller to identify the price first. If it’s high, counter or put it back down. If it’s lower than expected; you scored! If there’s an item you’re interested in that’s overpriced, give the seller your phone number and ask them to call you if it still needs a home at the end of the day. Did you buy an awesome dresser, but need some time to secure a friend with a truck? Pay for the item and ask the seller to put a ‘sold’ sign on it and a note to serve as a receipt. Before you leave (to come back later), grab a dresser drawer or couch cushion. This way the seller won’t be able to re-sell your item to the highest bidder. This doesn’t happen often, but it’s not unheard of either! Here are a few items I find essential on the hunt. A big sturdy bag. This can be a backpack, canvas tote bag or reusable grocery bag. This is VERY important. 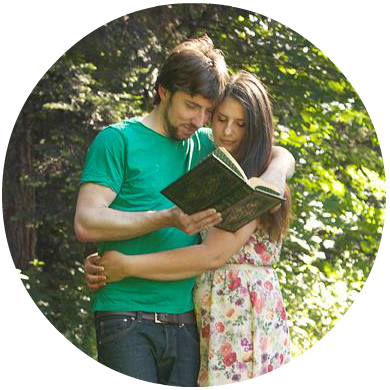 Use as a shopping basket and with it on your shoulder, you’ll still have hands to rummage. If parking and walking from house to house, this will carry it all. On the bigger, multifamily garage sales, I might even pick up some wheeled luggage (or bring your kid’s radio flyer) to tote my wares. Small bills. Stock a lot of $1’s and $5’s. Because it’d be embarrassing to haggle your way down to a couple bucks and hand the seller a $50. Also, sellers appreciate it. Cell phone. Did you find that perfect navy blue couch, but didn’t bring the truck? This is your life-line to outside help. Often sellers will hold on to the bigger items till the end of the day, to give you time to hunt down transport options. Often I prearrange emergency help before a day of garage sailing. Luckily my family values a good bargain so they will usually do the favor. In addition, cell phones are great maps that help you get orientated in unfamiliar neighborhoods and locate the nearest ATM. Bungee cords. In case you don’t have nice friends and family with a truck (or own a truck yourself). With enough bungee cords you can put some pretty big items on the top of your car. Just, don’t quote me on that…. Space measurements. 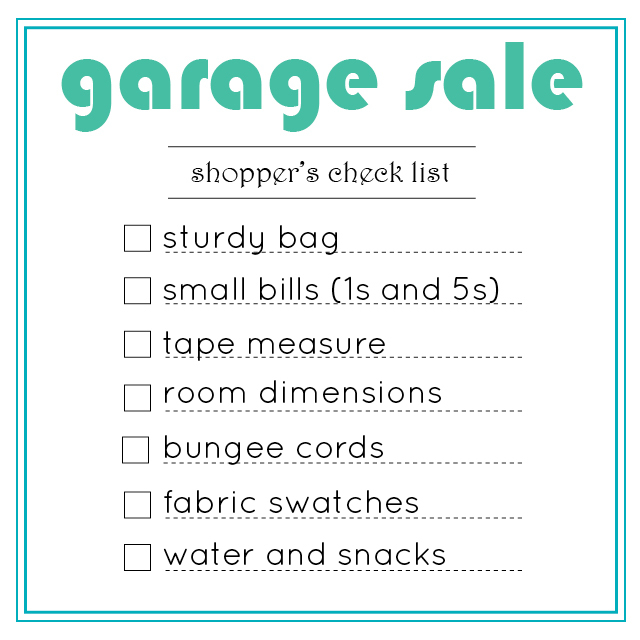 If you’re shopping for larger items, keep a list of what you need, with measurements, dimensions and sizes. That way you won’t forget, and you’ll know when it’s the perfect fit. Tape measure, to make sure that darling armoire/bench/couch will fit in your house. Fabric Swatches. I typically look for a lot of home decor, so I like to bring pictures of rooms in progress and fabric swatches. This makes me make smarter design choices. Water and snacks. My husband will get hangry fast, so we make sure to guard against any problems of the stomach. Sunscreen isn’t a bad move either! Update (6-18-14): Wear Sunscreen. Lesson learned from a recent garage sale adventure. Ha, that is a real concern. I feel I I walk a fine line between collector and hoarder. I do purge on the regular, so for now I'm able to keep up with it. Oh my goodness yes, 'styling props' are an easy excuse to buy almost anything, very hard.